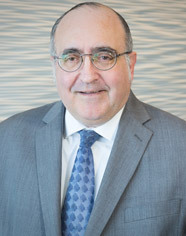 Richard Neuman is a partner with KBST&M and has more than thirty years of public accounting experience. Richard’s areas of expertise include tax planning for high-income clients, statutory stock option programs, and various methods in structuring compensation, intricate estate planning issues, passive gain and loss regulations, and charitable contribution planning. Richard has a high-level of expertise in the death care industry, and has provided expert testimony to the Maryland State Legislature regarding the funeral industry. He is also significantly involved in real estate issues including IRC Section 1031 like kind exchanges, corporate acquisitions and mergers, and partnership distributions. Rich holds a Bachelor of Science degree in Business Management with a concentration in Accounting from Towson University.